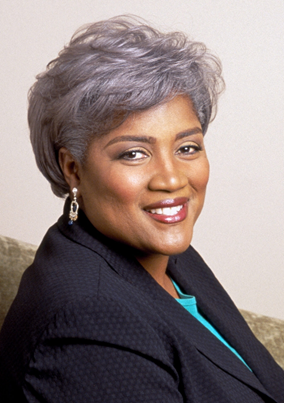 Yesterday, Fox News announced that they had hired former Democratic National Committee Chairwoman Donna Brazile as a contributor. It didn’t take long for Fox to trot out Brazile on air either. She popped up on Dana Perino’s The Daily Briefing yesterday and explained why she was joining Fox News. "I want to be able as a Democrat and a progressive and a liberal to talk to the FOX family because they are Americans and they care about many of the same issues and concerns that I have," Brazile said. Brazile was a contributor at CNN, before she was let go, when it was leaked that she helped Democratic candidates by leaking debate questions to them. A source at Fox News tells FTVLive that Brazile will not be involved in the debates in anyway. But, speaking of debates, you have to wonder if Fox News didn’t hire Brazile to possibly help clear the way to bring a Democratic debate to Fox News? The Dems shutout Fox News, but some believe that they may end up debating on FNC after all. Having Brazile onboard, could help grease the runway into making that happen.